Clubsonica Records begins their 2019 journey by welcoming Armandhe back to the label for a new EP. Previously known as Soluna, the Colombian artist adopted the Armandhe moniker with his 'Sacred Heart/Ozadya' double a-side release from July of last year. A fresh start has only provided more creative energy for Armandhe who has continued to unite progressive music fans with his redolent creations. 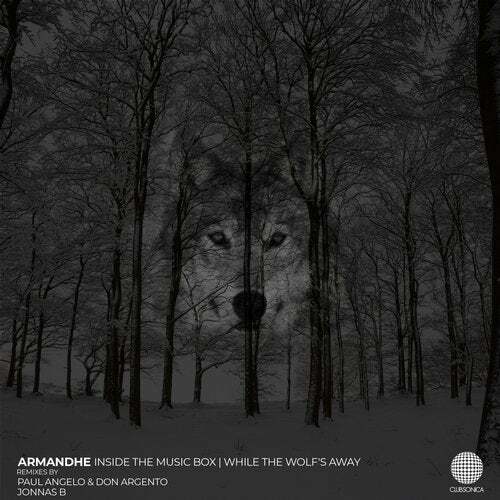 Now returning to his home label of Clubsonica, the Medellin resident presents his 'Inside the Music Box / While the Wolf's Away' EP alongside remixes from Paul Angelo and Don Argento and Jonnas B. Beginning with 'Inside the Music Box' Armandhe explores a deeper side of his studio repertoire. Free flowing from the outset, it's rippling low end provides a fluid energy while quirky hooks and timely effects fill in the framework. Stripping down into the main break, the musical narrative expands, opening a spiritual reservoir of glowing clusters and emotive chord changes, before effortlessly shifting energy into an evocative final act. The companion piece 'While the Wolf's Away' follows a similar sonic ethos with its drummy tension and musical meanderings. Beginning with a warm, rolling groove the piece moves with discernible momentum, as layers of atmosphere and cascading themes converge in a perfect sonic marriage. As the second act evolves, striking electronics bring a melodic tension of sorts, dramatic and poignant in equal measure, they elevate the mood further before flowing beautifully into a rousing finale. The first interpretation of 'While the Wolf's Away' is provided by Paul Angelo and Don Argento who make their label debut here. The Cyprus based production team were undoubtedly one of 2018's fastest rising progressive house duos. Support from Hernan Cattaneo and Nick Warren came in waves and the duo's groovy, dance floor inspired take on the genre quickly became an irresistible trend. Now making their first and highly anticipated appearance on Clubsonica Paul and Don provide a stunning take on 'While the Wolf's Away'. Dark and brooding from the outset, it's chugging cadence and ghostly motifs are immediately compelling. Indistinct vocals trail through the framework, elevating mood and tension throughout the break, before cascading tones and percussive flurries unite for an exhilarating apex and powerful drop. The release concludes with Jonnas B returning to the label and providing the second and final interpretation of 'While the Wolf's Away'. A staple of Colombia's progressive underground for seven years the Medellin based artist has earned play and support from the world's biggest DJs, most notably Hernan Cattaneo and Nick Warren. Now making a welcome return to Clubsonica, Jonnas rounds out the release with a superb rendition of 'While the Wolf's Away'. Shifting mood and tempo to a deeper place it's a piece which excels on rhythm and groove. Perfectly contoured, its thick slabs of bass power forward as intricate percussion, delicate arps and haunting atmospherics lead into the break. Like an ultrasonic wave, emotional energy rises across the eighty second centrepiece, eventually melting down to rolling drums and a sheet of white noise, perfectly setting up a magical dance floor moment. A spectacular remix from Jonnas which caps off another must have release from Clubsonica Records, who get 2019 off to an incredible start.